Pho is a well-known Vietnamese gem, popular not only in Vietnam, but also around the world. 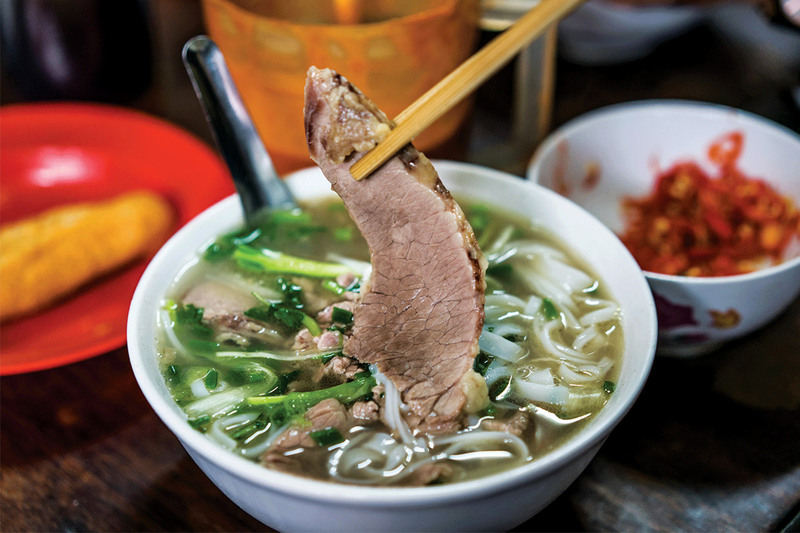 There are countless places you can go for a bowl of Pho in Ho Chi Minh City, but not all live up to the grand expectations many have for this dish. Who knows Vietnamese food better than the city’s locals? Many Saigonese have lived here for most of their lives and have ventured past just about every restaurant and alleyway in the city. While some fancy restaurants are air conditioned and claim to serve the best Pho in town, they can be fairly ostentatious, often catering for tourists instead of locals. Those who know their way around Ho Chi Minh City would agree, the best places to eat are the small street stalls, accompanied by long lines of eager customers. 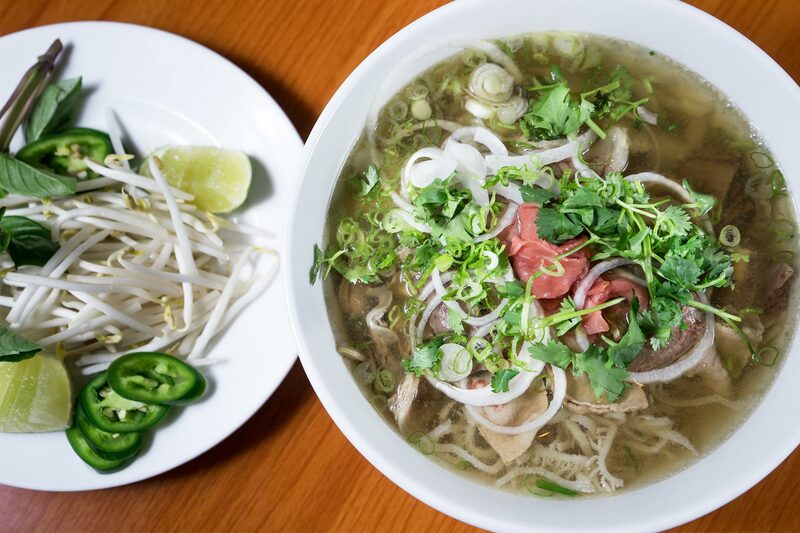 Here are some of the places where Vietnamese locals get their Pho. Pho Co Hoa has been around for over 10 years, but still remains rather unnoticed by the larger crowd. The stall has yet to be popularized, but the quality of the Pho is great nonetheless. This is an establishment that prioritizes serving only classic bowls of Pho, where extra condiments and garnishes such as chili, lemon and other fresh greens are conveniently placed on each table. A small street stall tucked away from big city lights, Pho Co Hoa is one of the many stalls that locals go for their Pho. It all began with Quyen, the eldest child in a family of five, whose father was from the North and mother was from the South. Pho Quyen is a family business, with a rich background lasting over 50 years. Surrounded by so many other street stores, Pho Quyen is somewhat “camouflaged” and is easy to miss. But with such long history, it has become a hotspot for locals who are often around and about. 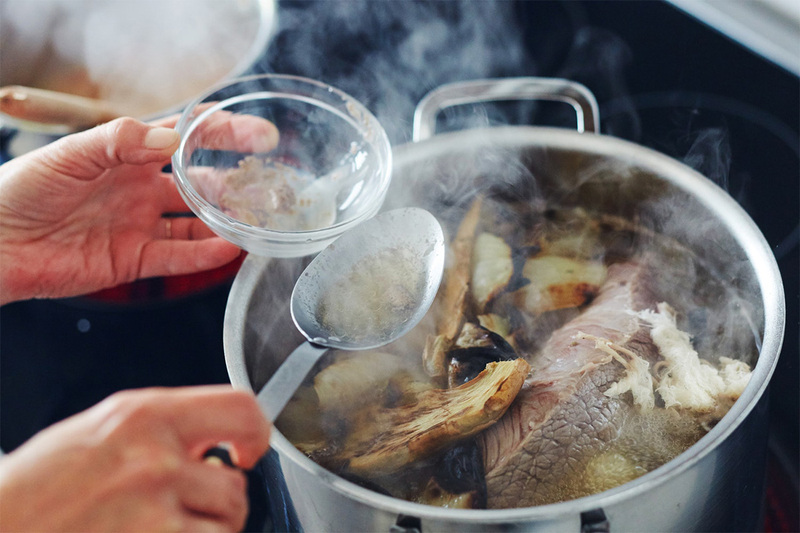 Pho Quyen’s current owner and chef even suggest that before fully enjoying the Pho, customers should mix the noodle soup, add soybean sauce to the broth, vegetables (coriander, basil, herbs), a pinch of lemon, and finally some bean sprouts. Pho Phu Vuong is open twice a day: 7am to 1pm and 4:30pm to 9:30pm. Customers almost always order a bowl of Pho Bo (Beef Pho), with garnishes such as onions and spinach to accentuate the flavor of the noodle soup. 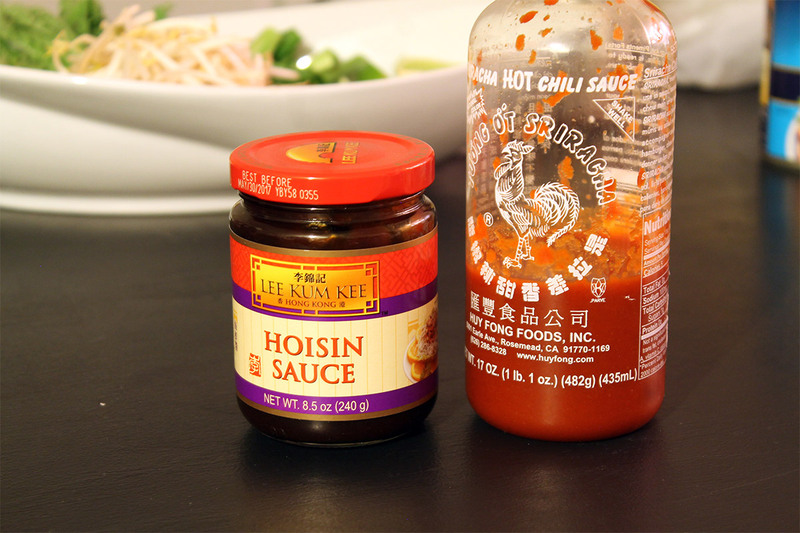 Accompanied by optional condiments, this place is notable for the richness of their broth. With two large units to seat customers, the expanding popularity of Pho Phu Vuong is evident. Pho Le has been open for over a decade yet, only one food item exists on their menu: Pho Bo in multiple variations. Choose from Pho with sliced rare beef, tendon, flank, or beef meatballs. Or if making one choice is too hard, opt for the “Special Pho” which offers everything but the tendon. Pho Le is especially prone to be a crowded store, reaching peak hours multiple times a day: early in the morning, lunchtime in the afternoon, and late in the evening, serving locals nearby. Pho Minh opened in the 1950s and has been passed down to later generations. Although it is located in District 1, its location remains concealed within the walls of an alley away from the hustle and bustle of city streets. 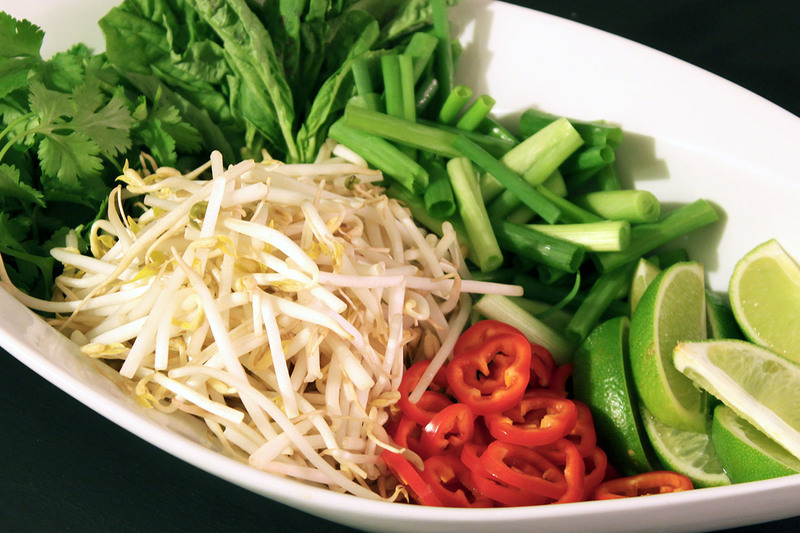 Pho Minh originated from northern Vietnam, where the style of Pho differs from the south. Pho Bac (Northern Pho) doesn’t value side condiments and garnishes as much, and the broth tastes notably different. It really depends on personal food choices. 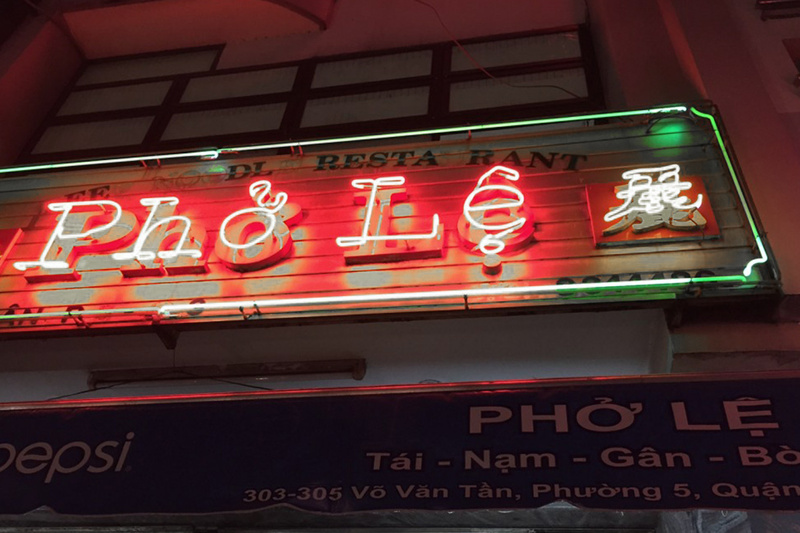 Frankly, Pho Minh is not only a great place to get a little quiet when in the center of the Saigon, but also to experience food preferences of the other end of Vietnam. They open as early as 6:30am and remain open until the Pho runs out, until about 10am. What about you, where are your favorite places to eat Pho?